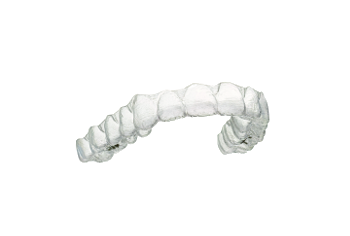 Developed with orthodontists, Invisalign is the clear alternative to braces. Invisalign gradually moves your teeth using a series of custom-made, removable, virtually invisible aligners. Not only can it treat a wide variety of bite, spacing and crowding issues and has aesthetic benefits over traditional braces, many patient don’t realise the number of oral health benefits, in that as they are removable so good oral hygiene, eating and speech can be maintained as per normal. Invisalign in most cases is faster than traditional braces, requiring visits every six weeks to check your progression and receive new aligners. Being faster, it is more affordable than traditional braces. Check out Aimee’s and Michelle’s stories below and how Invisalign has changed their smiles without affecting their confidence and lifestyle. Ask us how Invisalign clear aligners can work for you.